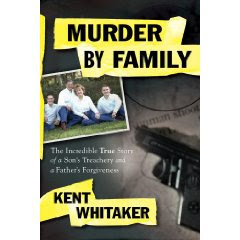 This is the tragic story of Kent Whitaker's heart-wrenching journey toward forgiveness and faith after the brutal murder of his wife and one of his sons. Straight from the headlines comes an incredible true story of a son's treachery. For the first time, readers are offered inside access to the emotional drama that went on behind the scenes. At the core is the remarkable healing power of forgiveness, demonstrated by Kent Whitaker, which shows how the survivors of such atrocious events can still forgive those who have permanently damaged their lives. One evening, the Whitaker family returned home after dinner, celebrating a son's impending graduation from college. On opening the front door, they faced a gunman lying in wait. The gunman opened fire, instantly killing the younger son and Kent's wife, leaving Kent and his older son lying wounded until police and ambulances arrived. While recovering in the hospital, Kent resolved in his heart to forgive whoever was responsible for the deaths of his wife and son. Over the next few weeks, it was discovered that the whole murder plot had been orchestrated by the surviving son,whom Kent had unknowingly forgiven. After a trial that resulted in a death sentence for his son, Kent emerged from this harrowing ordeal to share their astonishing journey toward forgiveness and redemption. I truly basked in the warm glow of Kent Whitaker's words as I was reading this book.With a very strong basis on this man's spiritual background his writing took on a life of its own.I found myself being drawn into the enfolding drama and yet through his words alone,was able to remain calm.Through this story which is basically about the nightmare that his family went through,he is also able to explain his deep faith and the reasons why and how this faith helped him accept and conquer the pain of what happened.I am not the most regular church goer and yet this book captured that "feel good" feeling I get after I have managed to attend a church service. As I proceeded through the book I wondered how he would explain to himself(and me) how such a tragedy could happen and how this could possibly have any good come out of it.He does explain this in detail about 2/3 of the book through and I started losing the glow.And when his son,Bart Whitaker,who was eventually put in jail, complained to his father that being on death row he only had about 2 hours a week to perhaps convert other death row inmates as he had been converted,I jerked back to reality.This is a boy who tried to have his parents murdered not once but three times.The first two times were obviously unsuccessful and yet he kept on trying until he was so successful that he killed his brother Kevin Whitaker as well.Is it not enough of a miracle that he was now converted?That he could only be converted after killing his mother and brother? Going back to my stance on "nurture" being predominant in the making of a killer I was disappointed that no attempt was made to find out if Bart Whitaker had experienced trauma as a child or perhaps had something physically wrong with him in the form of brain damage.This was a defence decision that he would not be consulted by a psychiatrist in case the information gathered could be used against him. I try to learn from all the true crime books that I read and personally I found that acceptance of this kind of tragedy just does not work for me.Does Kent Whitaker not feel any need to the rest of society to have this tragedy explained in terms of events or facts which we can maybe control or try to avoid.This theory of accepting and forgiving with no basis or idea that it will never happen again was not comforting in the very least.You will understand all of this psychobabble after you have read the book and seen the reasons he provides as to why this tragedy happened and why it was for the best.I absolutely cannot mention it here because it really would be a spoiler.It forms the absolute base for his acceptance of this tragedy. My words above have covered my personal opinion on how Kent Whitaker decided to deal with this.I do realise that I have very likely missed the whole point when it comes to having a very strong faith in God but I do believe we need to have a little fight left in us beyond total acceptance.That being said this book is brilliantly written.I wondered how a first time writer could be so excellent with his words and then found out that Kent Whitaker has dabbled in writing as a hobby so that explained a lot.I absolutely recommend reading this book.It provides an excellent view into the mind of a true believer and how problems are dealt with when all of your faith is placed in God. All the proceeds from the sales of this book goes to the December 10 Fund which was created by the author.This fund is managed by the Houston Christian Foundation.After all of my perhaps "negative" comments above I do still recommend reading this book and have already done so with members of my family.It is a true life account of dealing with tragedy and how your faith in God can help you do that.Do not get me wrong at all,Kent Whitaker is not at all over the top in his spiritual beliefs,nor does he force it down your throat in this book.It is just visible through his words and thinking.I am just a bit too scientific to just "believe".I believe in God truly but I also believe I need to help myself have a good life and not place the entire responsibility into HIS hands. Question to my readers:do you agree/disagree that we are also partially responsible for the life we lead on this earth?That our belief/faith in God should assist us in making the right decisions?Or should the entire responsiblity be with God where we simply believe and accept events as they unfold?I would really like to know what you think?I am not so narrow minded as to believe that my way is the only way even though I might give that impression because I do probably seem set in my opinion. Im not sure where you got to in the book but read on page 47 for the reasons why this was a good thing.You will be flabbergasted!! I want to read the book about Natalee Holloway too! Hi Yvette. About the number there is no rule about it. In my case it just never crossed my mind to put it there. I didn't realize that it would be very helpful. Now that you have pointed it I'll think about it! If I see a book that someone has reviewed and want to know more about it I usually search my local library first and then search Amazon using the title & author. I love reading your reviews. I started to answer your question about my view on people being responsible for their lives, but it wound up being too long for a comment. If you want I can rewrite and send it in an email. 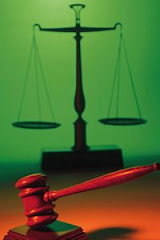 yk(at)toptruecrimebooks(dot)com.I will come over to your blog as well with my email address.Thanks! Hey Diane,thanks for stopping by.I know what you mean.Some of these true crime books have really gory crime details and stuff.I always make a point of mentioning this if I come across this type of stuff in the books I read just to warn my readers who might not like it! !